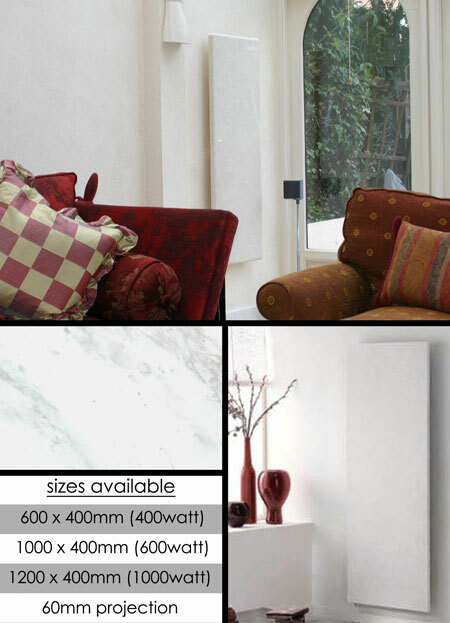 Each solid stone heating radiator has an integral electrical heating element inlayed into the white marble which uses the stone for good heat retention properties. This innovative technology produces an efficient way of heating your home. These stone radiators are 40mm thick and can be installed in a portrait or landscape format. A central heating stone radiator is also available to special order and priced on application. * Water system radiators to special order.